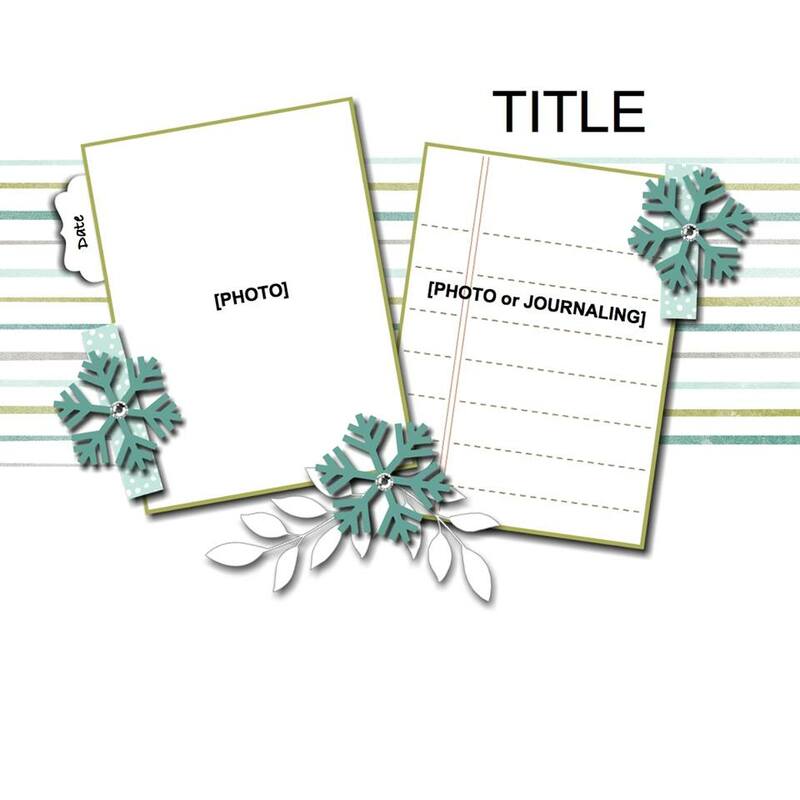 Tina's Crop Shop: December Scrapbook Sunday Blog Hop! Hello Friends! I hope your weekend has been fabulous! I'm excited to share with you that there is an awesome new blog hop that you will love! It's the Scrapbook Sunday Blog Hop featuring Stampin' Up! Produ!cts and today is the debut of it! How fabulous is that??!! I'm super excited that I was asked to create for it! I'm really hoping that all of this inspiration will help me get caught up with my scrapbooking! I certainly have a lot of catch up on! 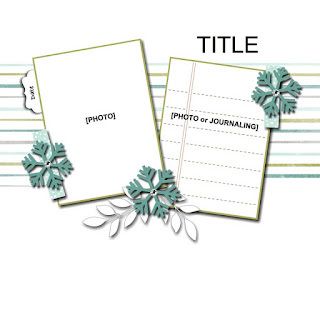 Welcome to the First Scrapbook Sunday Blog Hop! If you've already been hopping you should have landed here from Tanya Boser's Blog and thank you for continuing on! If you've started with me, please make sure you hop all the way through to check out every bit of Scrapbooking Inspiration! This is our Inspiration Sketch.. isn't it fabulous!!! Of course it was totally screaming at my to scrap some Christmas or Winter pictures but I decided to go with something a little different. My husband and I went on an 8 day cruise October 28th through November 5th and I felt like this sketch would work great for a couple of pictures from that cruise! October 29th is Jeff's birthday and we typically cruise every year right around that time. We not only celebrate his birthday but since the cruise is our Christmas Present to each other, we celebrate our love. Jeff and I married just a little under 10 years ago and neither of us had ever taken a cruise prior to that. Since we've married, we've been on 10 cruises! This particular page showcased pictures from our tour around Cozumel, Mexico. It was such a fun day to "Celebrate The Good Stuff"! And yes.... I'm the bird lady in the first picture! How does it go.. a bird in the hand is worth one on the head??? lol Well maybe not but that was a super fun day! Now I first have to apologize for my scrapbook page photography! I promise I WILL get better! I'm accustomed to photographing cards but not full 12x12 pages! Just a note.. some of these products used are Sneak Peeks of products that will be available until January 3rd when the new Stampin' Up! Occassions Catalog is live! My 12x12" Smoky Slate Cardstock from the Neutrals Best Collection was where I started! I added a 12" x 3" strip of DSP from the fabulous new Sweet Soiree Specialty Designer Series Paper (available January 3, 2018 in the Occasions Catalog!). I really love the look of this DSP.. the green brought out the green in the birds and the pattern on it almost gave it a bamboo look! I added a strip of 5/8" Burlap Ribbon.. I really loved the natural look it added. My 4 x 6" pictures were matted in 4 1/8" x 6 1/8" panels of Old Olive Cardstock that had the edges sponged with Old Olive Ink. The stamps used were from the Picture Perfect Birthday Stamp Set (also available January 3, 2018 in the Occasions Catalog!) I stamped the "Celebrate The Good Stuff" sentiment in Black Archival Ink and then clear embossed it for my Title. I used the Pretty Label Punch to make the tag on the side of the picture on the left. I also clear embossed Black Archival Ink with the "Today We" part of another sentiment from the same stamp set. I used a scrap of Washi Tape to block off the letters under that sentiment when I inked up the stamp so that I could do some selective or partial stamping. I only wanted the "today we" so that it would transition into "Celebrate the Good Stuff". I wanted to use flowers that looked a bit tropical and I really thought that the flowers in the Seasonal Layers Thinlits Dies were perfect for that! I have to tell you that I think the Seasonal Layers Dies are a must have for any scrapbooker! There are so many options for every season! It is one of my go-to die sets! I cut the flowers out of scraps of Pacific Point cardstock. I adhered a small circle of scrap Whisper White cardstock behind each of the flowers for the center to stand out a bit. The leaves were punched out with the Leaf punch in Old Olive Cardstock and sponged with Old Olive Ink around the edges. I adhered the leaves with Tombow Multipurpose Glue and adhered the flowers with Mini Stampin' Dimensionals. I finished it off with three Glitter Enamel Dots in blue. Right after the full Blog Hop List is a list of all of the products used if you are interested in any of them. One of the perks of being a Stampin' Up! Demonstrator is the priviledge of pre-ordering new products! If you can't wait on some of the new goodies .. think about signing up! Next up is Cathy Caines.. just click the Next Button below and you'll be there! Below is a list of all of the Scrapbook Sunday Bloggers in case you've lost your way! Tina Rackley Riddle <---- You are here!